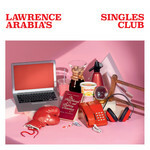 Lawrence Arabia's Singles Club offers any member a one-way ticket to Dreamsville. Launched as a Kickstarter to write, record and release a digital single every month in 2018, Lawrence Arabia's 2018 Singles Club saw more than 368 backers pledge NZ$ 23,710 to help bring the project to life. Talented pals contributed to the project, including The Ruby Suns' Ryan McPhun, Hollie Fullbrook of Tiny Ruins (singing on 'Everything's Minimal'), Heather Mansfield from The Brunettes (singing alongside Liam Finn's drums on 'A Little Hate') and a dream collaboration with psychedelic hero, Van Dyke Parks. "The whole experience was initially terrifying but ultimately heart-warming and encouraging," recollects James. "The energy from all that rampant human positivity ended up pushing me into the process of producing twelve new songs with some sense of manic, irrational vigour. It was pretty exciting." Constructed in Lawrence Arabia's revered bedroom recording style, each Singles Club offering was built with ruthless ambition. 'Everything's Minimal', 'Cecily', 'Meaningless Words' and 'Oppositional Democracy' began through the course of the year and were completed in the following months whilst other songs were revived from rough demos that followed 2016's Absolute Truth as quickly and instinctually as possible. "The time pressure of the process definitely influenced the way I arranged the songs - I had to make bold decisions and stick to them, or tear them apart brutally and start again pronto." Woodwind and strings were recorded in Auckland's Roundhead Studios with each track mixed in an office in the Dalmatian Cultural Society, surrounded by views of the city's western suburbs and volcanic cones in the distance. "During the day there's a constant hum of chit chat from neighbouring offices and the ping of the second-floor lift doors opening. At night, the building goes quiet, I'd turn the lights down low to evoke the sensation of a proper recording studio, but it never quite managed to shake the aura of the building's bureaucratic past." Bound with one seamless invisible thread, the album stands as a body of work capturing a moment in time. Like those buildings with their structure on the outside, Lawrence Arabia's Singles Club exposes the inner-workings of what it takes to create a record and offers any member a one-way ticket to Dreamsville.